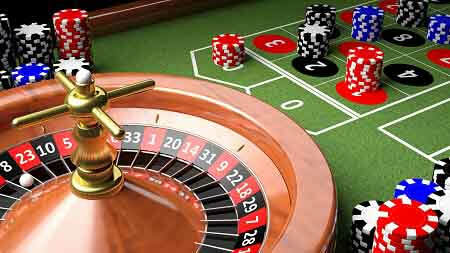 Looking to go to the Montreal Casino, a tour of Montreal or Quebec City? How about a customized siteseeing tour, in and out of town? We are one of the best limo service companies that provides packaged or customized site seeing tours that cater individually to the customer's taste. Not everyone is the same and we want you and your group to have an amazing time! Casino special tour. Let us pick you up and show you the beautiful town then take you VIP style to the casino. Our limousines Montreal are stocked with refreshments and we treat you with red carpet service all the way. Customized siteseeing tours. Our staff is happy to discuss with you any trip of your choice, whether its siteseeing in the city, and surrounding areas or Quebec city and around it. We make sure to discuss all options with our customers so they can see all the highlights that are not to be missed out on. Selection of site seeing tours. Let us offer you the highlights of Montreal and popular destinations such as trip down to Old Montreal, Olympic stadium, Notre-Dame Basilica, St Joseph's Oratory, then why not include the Casino, Mont-royal and downtown in one of our luxury limousines. Soak in the French atmosphere and enjoy la vie. Fun and relaxed. Our drivers are customer focused and your enjoyment is their number one priority. When you rent one of our limos for site seeing, you get the chance to enjoy each stop and not be rushed like most tours. Our drivers can carefully explain to you the historic and touristic spots and allow you to savor the city's history and culture while you take your time stopping and exploring each destination. Group planning. Planning to go with a large group siteseeing or to the casino? Let us help you plan and make the necessary arrangements that fits your timing and budget. We offer the best prices, packages and service in the industry. Unmatched Service. Our company's limo service and drivers are top-notch. Drivers with tuxedos, black hats and white gloves, treating you and your guests or group VIP all the way. Why not even try our limo service Toronto. With our competitive prices you can count on us to make this day a lasting memory, we also take last minute limo rentals booking.